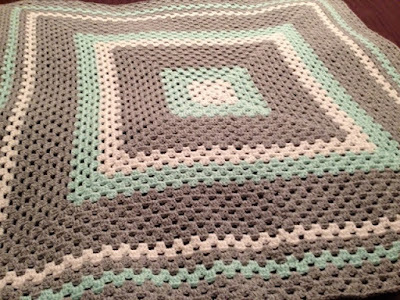 One of the projects that I have been working on was crocheting a baby blanket for a friend of mine. I knew I wanted to do a Granny Square pattern, but wasn't sure whether I wanted to do patchwork granny squares where you weave them together or a giant Granny Square blanket. As you will see in the pictures, I decided to go with the giant Granny Square blanket. I picked out yarn colors that I wanted, watched a few youtube videos on how to start the granny square and went from there. I had a rough pattern in mind, drew it out on paper, and pretty much winged it! I am really happy with how it turned out. It is about 32" which is hopefully a good size for a baby? I can't wait to hear how my friend likes the blanket. 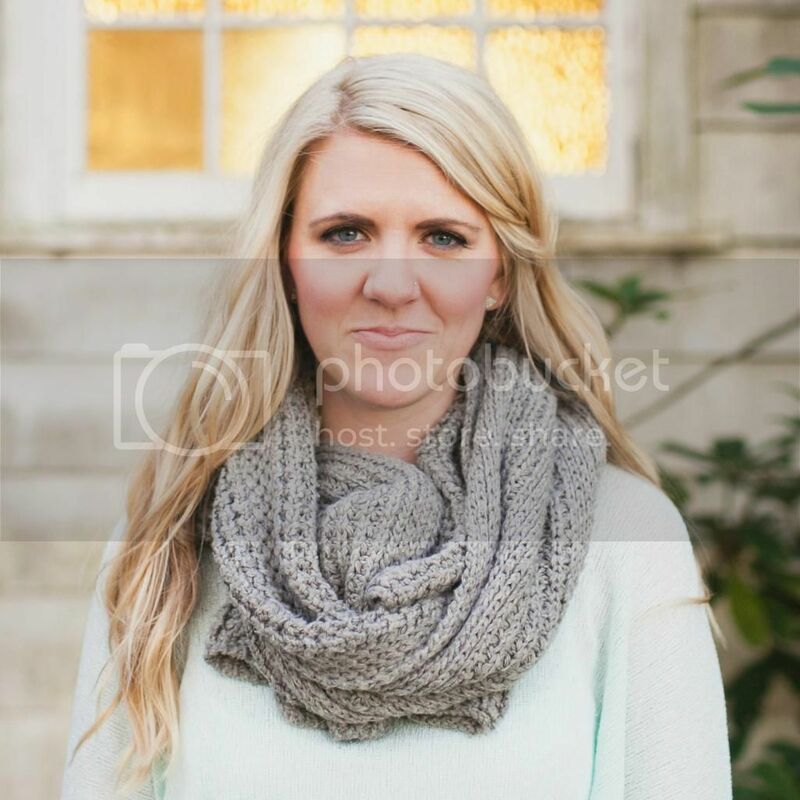 Word on the street is she already received a few homemade baby blankets :/ but what can you do. I made it with love and will hope that it gets some use! 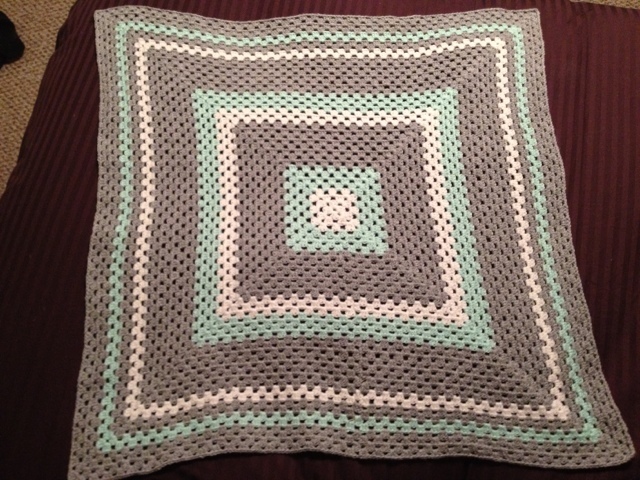 Now I must come up with another crochet project. Have any new ideas of what I could do for a project? Comment and let me know! !